Dente Venus flytraps are similar to the common flytrap, but have jawlike 'teeth' along the trap edge. Talk about a mean-looking plant! The inside of the trap will redden in bright light, and really gives these plants the look of a gaping, fanged mouth waiting for that little insect morsel of food. 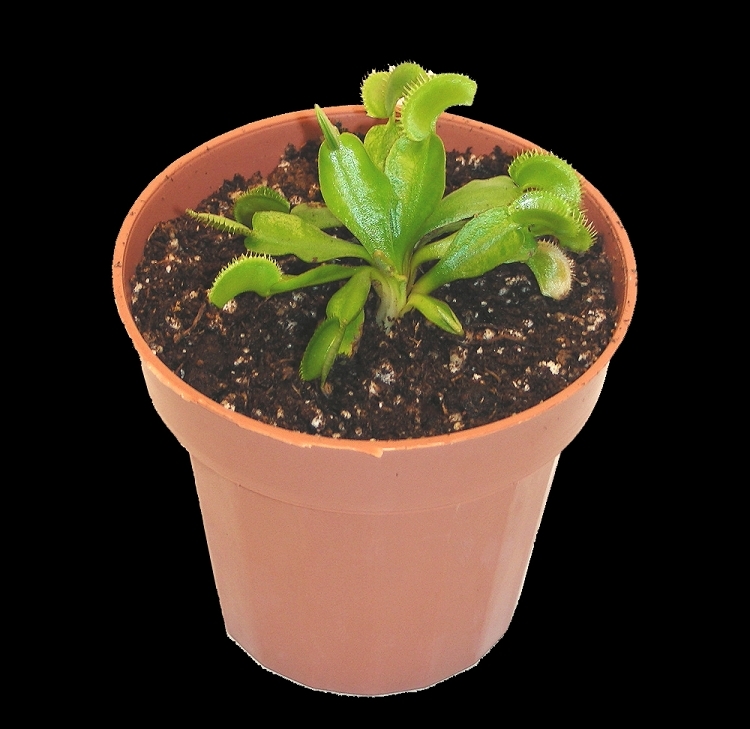 This small plant is potted in a 3-inch pot and is ready to grow, so all you need to do is water.